Could Brett and Jemaine be returning to HBO? HBO has ordered a four part comedy mini-series that will star Flight of the Conchords’ Jemaine Clement and Bret McKenzie. No word on if the show will be based on new characters or not. 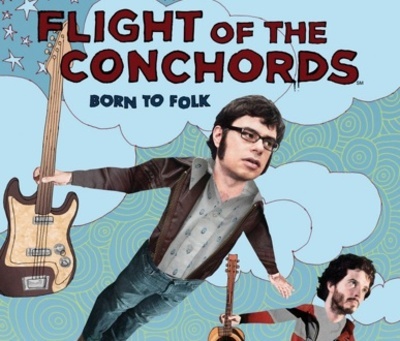 Were you a fan of Flight of the Conchords? Would you love to see them return in the same role, or as new characters? Flight of the Conchords is easily one of my favourite comedy shows and I am super excited to see this happen, even if it is only four episodes! I can only hope that this is just a teaser for things to come. I know it is meant to be a parody, but I think the video looks awful. The Most Beautiful Girl is probably not one of their best, but some of the episodes and songs are really funny. The Block Fans V Faves, are you happy with the winner? Are you a binge TV watcher? Arrow – How did Oliver survive the fight with Ra’s Al Ghul? What book series would you like to see adapted to the big screen?